Oil is the lifeblood of your car’s engine. It keeps all its parts moving smoothly, absorbs excess heat, and contains additives that help clean up nasty, harmful chemicals. After spending thousands of miles keeping your engine running right, your used car’s oil degrades and needs to be changed. It is one of the most important maintenance items your vehicle should receive. At the cost of a tank of gas or two, it also happens to be one of the cheapest investments you can make in your vehicle’s long-term health and performance. When it’s time to change your oil, you may be faced with the decision between conventional motor oil and synthetic motor oil. Read below to understand the difference and decide what’s right for you. What’s the Difference between Regular and Synthetic Oil? Conventional oil is distilled and refined from crude oil, a naturally-occurring liquid fossil fuel. Synthetic oil, on the other hand, is created artificially, molecule-by-molecule, from chemical compounds with the goal of mimicking the best properties of natural oil and tailoring to the specific demands of modern vehicle engines. While the difference in the manufacturing process is neat for car geeks, most drivers only care about the difference this makes for their vehicle. It turns out, these differences can be meaningful. Synthetic oils generally protect your vehicle better than conventional oils, have some performance advantages particularly in extreme temperatures, and last longer. That said, they also cost more. Oil degrades as it moves through your vehicle’s engine, leaving harmful deposits, and over time can form sludge, which decreases your engine’s performance and useful life. Synthetic oil has fewer impurities and is more resistant to sludge formation, so your engine stays cleaner, operates more efficiently and lasts longer than with conventional oil. Oil’s primary function is to lubricate engine parts, which move at high speeds and are in direct contact with one another. Synthetic oils don’t break down as easily as conventional oils, so they protect your engine components from friction, wear and tear, and ultimately break down for longer. What is the best car oil for extreme temperatures? Because synthetic oil has been painstakingly and mathematically engineered for its purpose, it generally performs better than conventional oil in extreme temperatures, keeping your car running more smoothly in most conditions. Engines generate heat in all conditions just by running, so high heat environments can cause oils to break down even faster. Synthetic oils resist heat better, breaking down more slowly, so your engine will last longer in high temperatures. In cold temperatures, conventional oils can become thick and take more time to warm up to the ideal viscosity, so they may not provide the proper lubrication when you fire up your engine. Synthetic oils are engineered to flow smoothly in your engine even at cold temperatures, so your engine is more likely to receive the proper protection as soon as you start the car. How long does car oil last? 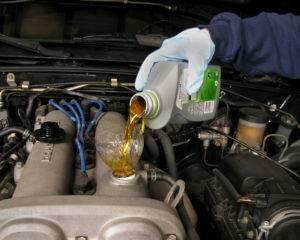 Conventional oils break down more quickly so must be replaced more frequently than synthetic oils. 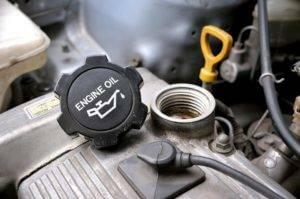 If your car takes conventional oil, most mechanics recommend an oil change every 3,000 to 5,000 miles. On the other hand, if you use synthetic oil, you should probably change it every 7,500 miles, though some synthetic oils last 10,000-15,000 miles. Cost difference for Synthetic vs Regular oil? Mechanics will typically charge $30-$45 for a conventional oil change. Full synthetic oil changes typically run $70-$100, depending on the vehicle. While full synthetic will cost you 2-3x more per oil change, you also get 2-3x the life between changes, so it’s important to factor in that longevity when comparing the cost. If you drive your vehicle 12,000 miles per year and change your oil every 3,000 miles or four times per year, you’ll likely spend $120-$180 per year on conventional oil changes annually. Using the same 12,000 miles per year, changing your every 7,500 miles with synthetic oil implies an average of 1.6 oil changes per year, bringing your average annual cost to $112-$160. As you can see, conventional oil costs less per visit, but because you’re changing your oil more frequently, your total annual cost evens out over the long run when compared to synthetic oils. Before choosing what type of oil to use, check your owner’s manual to see what the manufacturer recommends or even requires. If you drive a high-performance vehicle or a European make such as Audi, BMW, or Mercedes, you’ll likely need to use synthetic oil. If the manufacturer requires full synthetic oil, your decision has essentially been made for you. If you fail to comply with the manufacturer’s requirements, you run the risk of losing warranty coverage in the event of a mechanical failure, even if the oil you use is not directly related to the issue. When selecting a motor oil, you do have a 3rd option: synthetic/conventional blends. Blends perform better than convention oils at a lower price point than synthetics. Blends aren’t as long lasting as pure synthetics, however, so if you’re stepping up from conventional oils, you’re likely better off going the full synthetic route. Overall, is synthetic worth the premium? Given its enhanced performance and longer life, the benefits of synthetic oil may indeed outweigh the additional cost, but the decision comes down to manufacturer requirements, how much you drive, and how diligent you are about changing your oil. First, if your owner’s manual states that your vehicle requires full synthetic, follow those instructions. You’ll enjoy the longevity and performance, and you’ll ensure your vehicle stays within warranty requirements. If you have a choice between conventional and synthetic, think about the annual mileage you drive and how good you are about changing your oil on schedule. If you constantly find yourself putting off that oil change and going beyond the recommended interval, synthetic oil is probably your best bet because you have more time in between changes. You’ll spend less time at the service station and will receive some performance benefits along the way. If you’re good about changing your oil on time, however, and your manufacturer allows it, conventional oil will work just fine. Each change will be a bit lighter on your wallet, and you’re unlikely to notice a performance difference in your day-to-day driving. Curious what kind of oil would be best for your car? Contact us today! 2 comment(s) so far on Regular vs. Synthetic Oil: Which is Right for Your Car? The oil we put in our engines serves multiple purposes. It coats the metal parts inside and allows them to run on a thin layer of lubrication thereby reducing friction and wear. It also works as an additional coolant, neutralizes acids, captures and transports combustion by-product particles to the oil filter, and employs solvents to keep the engine clean. In order to choose the right oil, it helps to understand some of the key differences between synthetic and regular. Hi, the author raised a very good point. Generally it is difficult to choose the best oil, but in my view choosing the best oil will make our engine and body parts run effectively. I thank the author for sharing this idea.